Aid packages include food packages, personal care items and non-food items. 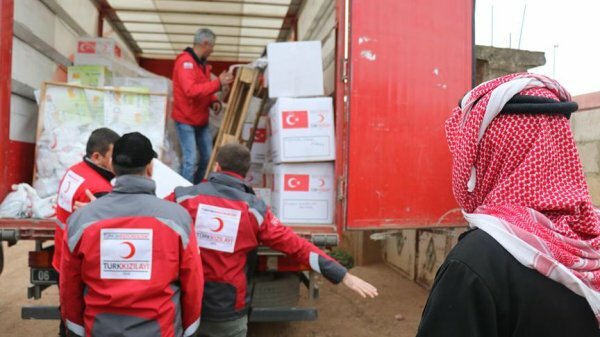 Turkish humanitarian groups have distributed humanitarian aid in 362 different localities in Syria's Afrin since January of last year, according to a statement on Tuesday. "Turkey continues to provide humanitarian aid in Afrin, Syria. 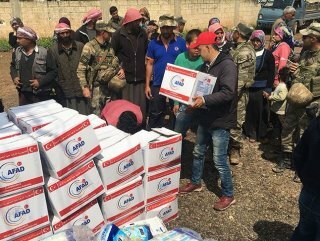 Since January 29, 2018; AFAD, @RedCrescentTR and other Turkish NGOs have provided humanitarian aid to people in need in 362 locations of Afrin," Disaster and Emergency Management Authority (AFAD) said on Twitter. The aids include 194,382 food packages, 2,417 tons of flour, 2,664,407 hot meals, 6,378,142 loaves of bread, 500,760 bottles of water, 104,018 personal care items and 190,219 non-food items.